heredity; chromosome; nucleus; genetic material; history of genetics. The development of the DNA theory of inheritance culminated in the publication of the molecular structure of DNA 60 years ago. This paper describes this development, beginning with the discovery of DNA as a chemical substance by Friedrich Miescher in 1869, followed by its basic chemical analysis and demonstration of its participation in the structure of chromosomes. Subsequently it was discovered by Oswald Avery in 1944 that DNA was the genetic material, and then Erwin Chargaff showed that the proportions of the bases included in the structure of DNA followed a certain law. These findings, in association with the biophysical studies of Maurice Wilkins and Rosalind Franklin with Raymond Gosling, led James Watson and Francis Crick to the discovery of the double-helical structure of DNA in 1953. 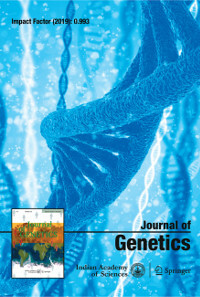 The paper ends with a short description of the development of the DNA theory of inheritance after the discovery of the double helix.